AAA and Wiley-Blackwell are pleased to announce that we will be offering two months of FREE ACCESS to 10+ years of Anthrosource content, during November and December 2009. Due to popular demand, the deadline for submitting photos to the 2009 AAA Photo Contest has been extended to October 15. Use the online submission form to enter today. Nelly Azavedo’s thousand little men Brazilian artist Nelly Azavedo had a very interesting action in Berlin. He made a thousand little men from the ice, and then left them to melt on the steps of Berlin’s Concert Hall. 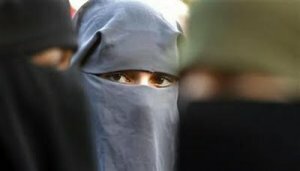 France banned burqas in public schools in 2004. Now, a parliamentary commission is investigating a possible ban on burqas in public places and anthropology professor John Bowen was asked to testify on this matter, Student Life and New York Times report.